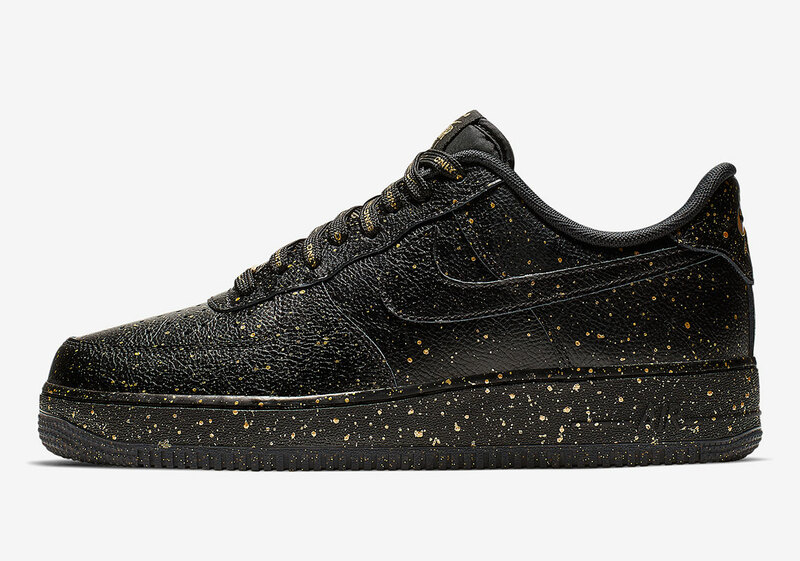 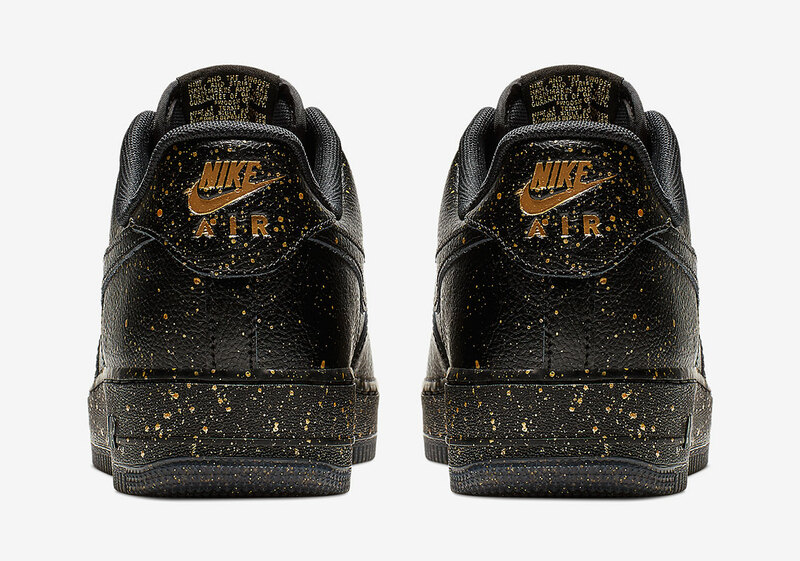 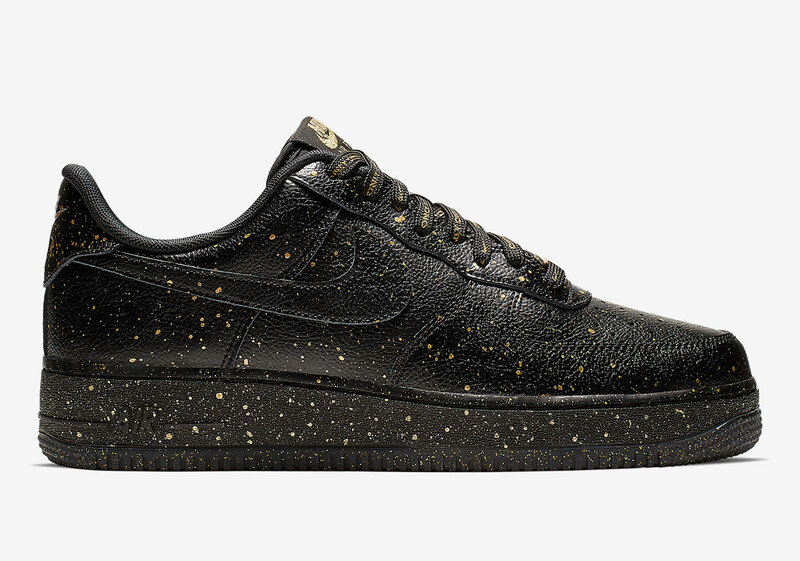 As March Madness continues headstrong, the many inspired toolings associated are beginning to appear in their uninhibited celebration, with this forthcoming Air Force 1 donning gold speckling along its entire uppers for a finish that is luxe through and through. 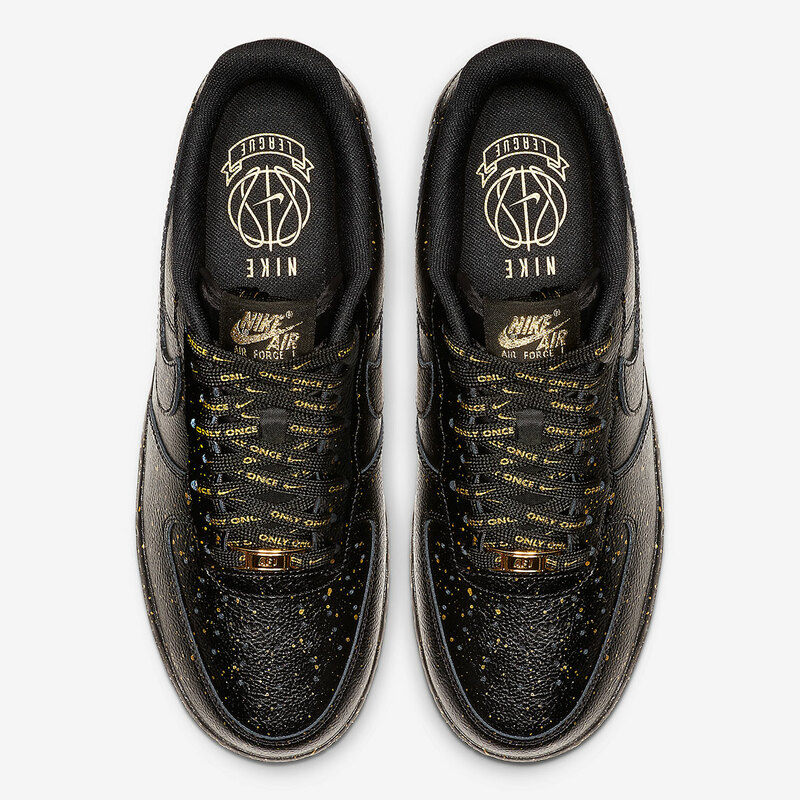 Black leather fabrications arrive in conjunction, allowing the contrasting notes to shine against the much darker backdrop while “Only Once” typography finds itself emblazoned on the included set of laces. 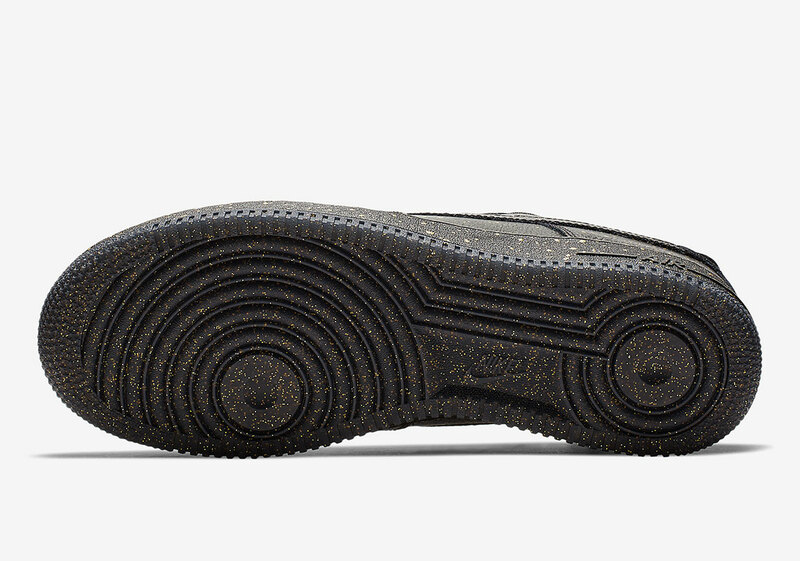 Insoles feature accompanying notes with basketball-centric iconography further connecting to the overall theme, which matches the heel counter embossing for a touch of Midas quality. 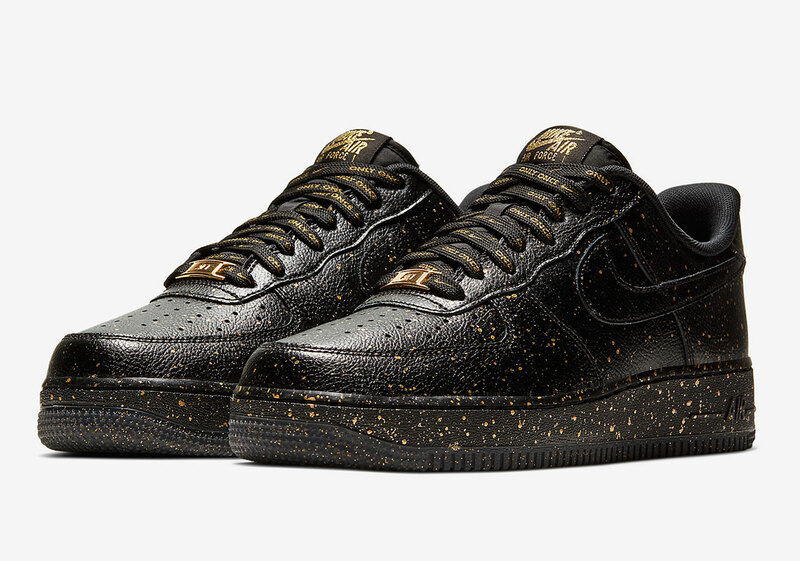 Enjoy a detailed look at the Air Force 1 “Only Once” below and expect a release to arrive at select retailers and Nike.com very soon.